It gives me great pleasure to announce that The Aspergers Flyer will be a star attraction at the PRCLT’s tribute to the 70th anniversary of D-Day. Despite being a celebratory event, the 1940s weekend, that are held across the country are always spectacular. 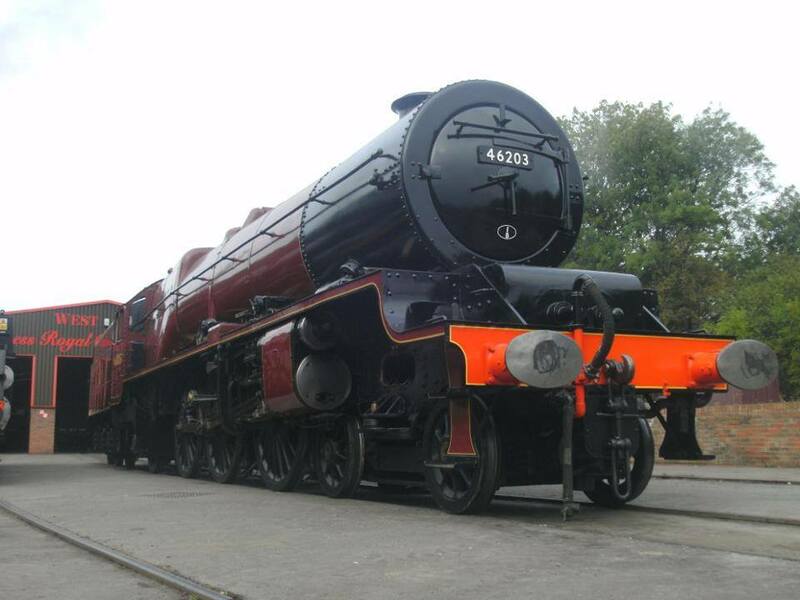 Not only that, but there will be two fantastic steam locomotives, which both have a Royal connection; namely 46233 Duchess of Sutherland, the chosen engine for two Royal Train runs in the last decade, and 46203 Princess Margaret Rose, the LMS Pacific locomotive from the stylish, pre-war period. Also in attendance is 45000, the Royal Saloon which has carried the Queen in recent times and Winston Churchill during D-Day preparations. Despite the fantastic line up, the icing on the cake is that The Duchess will carry The Asperger’s Fundraiser headboard all day on June 8th. I would like to say that it is a fantastic achievement, and that I am very proud that the charity has been able to establish a link with such glamorous and important locomotives. Below is the event poster. Please and take a look, and if it takes your fancy, visit the Midland Railway Centre, and have a fantastic day. I hope it goes well for Asperger’s Fundraiser on this landmark occasion.